Samsung has launched the Ativ Q tablet at an event in London which truly fulfills a geek dream of mine that is running Windows 8 and Android on the same Tablet. The Tablet also features an amazing high resolution display which makes even the Retina display of the iPad a slouch. The Ativ Q features a 13.3-inch display with a resolution of 3,200 x 1,800 (qHD+) resolution that makes it 275 ppi. According to Samsung the display is optimized for use in bright sunlight and the viewing angles go up to 178 degrees. The display also supports use of the S-Pen which will surely be a joy to use on this amazing display. There a couple of things which truly impress in the Ativ Q is the beautiful high resolution display and the other is the dual-OS support. The dual OS support is awesome as you can switch between Android Jelly Bean and Windows 8 by pressing the start button and no reboots required and you can even pin Android apps on the Windows 8 Start Screen and vice versa. The show is run by the latest Intel Core i5 Haswell processor and Samsung rates the battery life of the Tablet at 9 hours. The Tablet is made of Magnesium which certainly looks good and the device weighs at 1.25kgs with a thickness of 13.9 mm. All in all the Tablet offers good portability. I can’t wait to see that awesome high resolution display and the dual OS support. 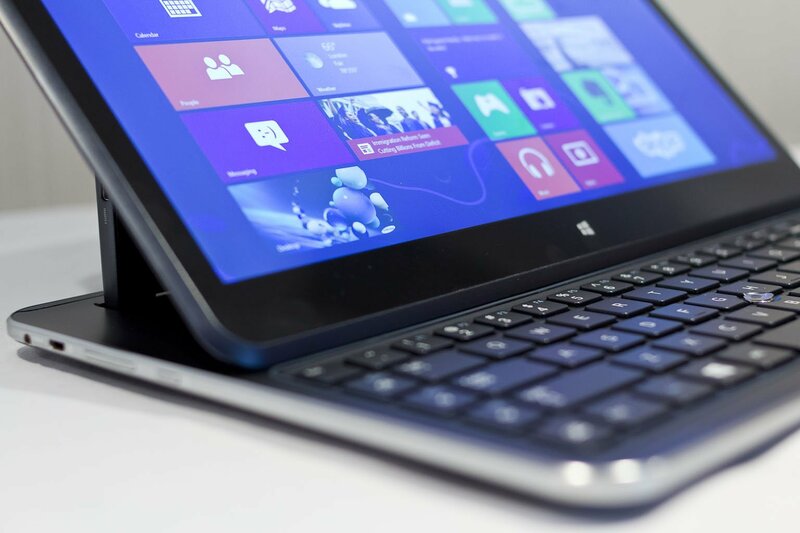 The Tablet should reach markets later this year, there is no word on the pricing yet. We’ll surely keep you updated.